I ran across the Bright Line Eating program on Facebook, with a post about a susceptibility quiz for being addicted to sugar/carbs. I took the quiz and got the highest score, meaning that I’m addicted to sugar. These results did not surprise me! Even though I have tried many diets before, and quickly regained any lost weight plus some, I knew I needed to stop eating sugar for good. My eating of sugary junk food has been out of my control for years. Lately, it has become a daily obsession. Buying and eating a whole bag of candy every day was my norm. My last fasting blood sugar was high, and I don’t want diabetes. I hate having to stick myself with needles for my immunoglobulin infusion every 9 days. The thought of daily blood sugar finger pricks, and possible insulin injections freaked me out enough to realize I had to make a radical change. It is truly a sobering, and humiliating fact to realize that I’m addicted to sugar. 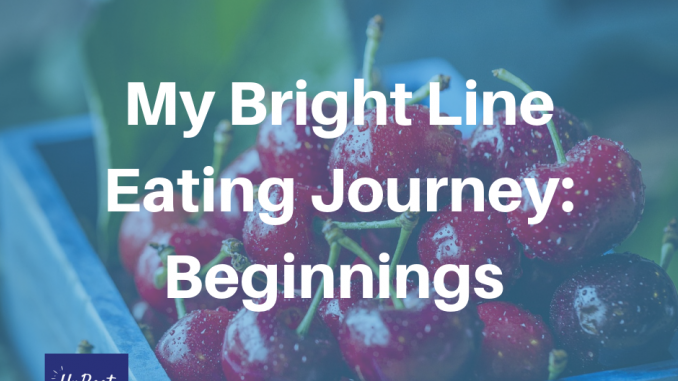 The Bright Line eating program is designed for people like me. The four lines are: No sugar, No flour, Three meals a day only, and set quantities. The reason for no flour is that since simple carbs like bread are changed into glucose (sugar) when ingested, they keep our insulin levels too high. Our bodies are fooled into thinking we are still hungry, because high glucose levels cause high insulin levels, which prevents are bodies from “seeing” leptin. Leptin is a hormone that tells our brains we are full and ready to get active. When we don’t eat sugar and flour foods, our hormone levels readjust and eventually our brains can see the leptin allowing us to feel full and energetic. 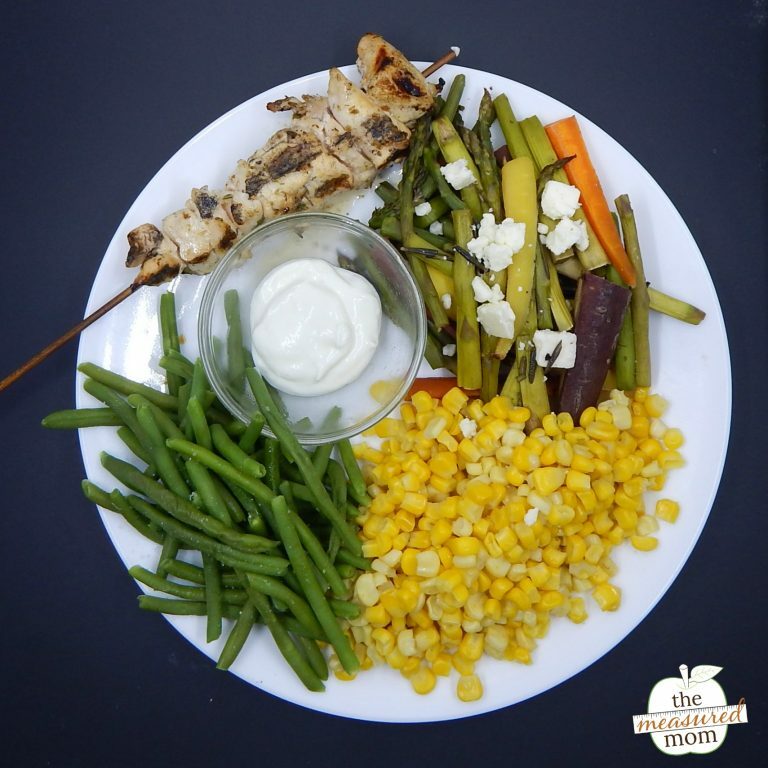 One thing that I really like about this eating plan is that they give you teachings before you start the diet, so that you are prepared for success. It took me about a week to complete the Getting Started Modules and preparation items. You can’t start Day 1 until these items are completed. Preparation included getting a digital food scale and several notebooks, joining their Facebook Support group, and listening to the Modules explaining the program. I also needed to take photos of myself and get rid of “Not My Food” items in my kitchen. I did a practice run on Friday, August 24th just to figure out how to use my scale and the information sheets about foods and quantities. It was a bit frustrating weighing things, but I survived. My starting weight was 193.8 pounds. Today is my 13th day of the 8 week Boot Camp. I have eaten according to the 4 bright lines every day but Monday. Monday was a holiday here in the USA and my grown children and I went to a local park for a picnic. I ate only my measured food, but as the day wore on I got really tired and hot and my brain wasn’t thinking straight. Everyone wanted to go for ice cream at about 3pm, and since I was driving one of the cars and had a passenger, I ended up at a local ice cream place. I got a small soft-serve chocolate cone. Then I came home, took the dog out, sat down for 20 minutes while my son packed his things to return to the city. Then I had to drive him to the light rail station, and then another 30 minutes home. Since I had the only cooler, all of the leftovers ended up in my apartment. Really bad! After my planned dinner, I ate lunchmeat and cheese on a bun, and had potato salad. By this time I was not coping at all, and having a brain melt-down. I went online to the Facebook site, and got many encouraging replies to just start again in the morning. No condemnation or reprimands, just understanding and guidance. The next morning, I threw out the “not my food” junk and got back on track. I’ve decided not to get on the scale again until this Saturday. Last Saturday, I weighed 187.2 pounds. I think this plan is just what I need, but it sure is challenging. I really have not been hungry on this eating plan. In fact, at times I feel stuffed with veggies! Cravings are still bad every evening. So far distractions, prayer, brushing my teeth, journaling, reading scripture, and going online have helped immensely. The worst part besides cravings, is detoxing from all that sugar. Two days in, I had a bad headache all day. After that extreme fatigue has set in, and body odor is wicked. Before I started this plan I was walking 5000+ steps a day. Yesterday, I didn’t even make 3000 steps. They say you just need to rest more and drink lots of water, because fat cells release toxins as well as fat as they shrink. If you decide to use this eating plan, you’ll have to adjust your activities accordingly. Consulting with your health care provider BEFORE starting this plan is very important. The reason for this is that rapid weight loss needs medical supervision when taking medicines. So please, if you’re interested in the Bright Line Eating Plan consult with your doctor before starting. Check out more about the plan and take the Susceptibility Quiz here.